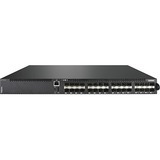 Marketing Information: The Lenovo ThinkSystem NE1032 RackSwitch is a 1U rack-mount 10 Gb Ethernet switch that delivers lossless, low-latency performance with feature-rich design that supports virtualization, Converged Enhanced Ethernet (CEE), high availability, and enterprise class Layer 2 and Layer 3 functionality. 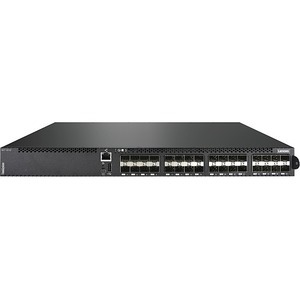 The switch delivers line-rate, high-bandwidth switching, filtering, and traffic queuing without delaying data. The NE1032 RackSwitch has 32x SFP+ ports that support 1 GbE and 10 GbE optical transceivers, active optical cables (AOCs), and direct attach copper (DAC) cables. The switch helps consolidate server and storage networks into a single fabric, and it is an ideal choice for virtualization, cloud, and enterprise workload solutions.